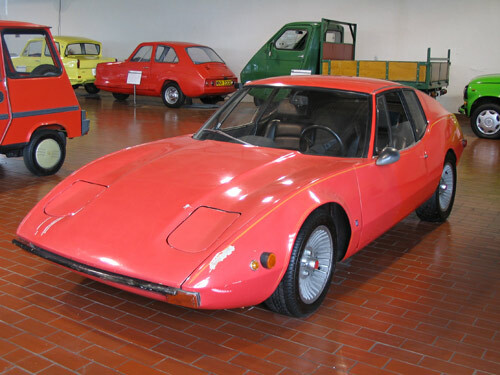 Otas offered two FIAT-based sports cars–most were based on a FIAT 500, 850 or 128. While this car was more costly than FIAT’s 850 coupé, it was far more exclusive. 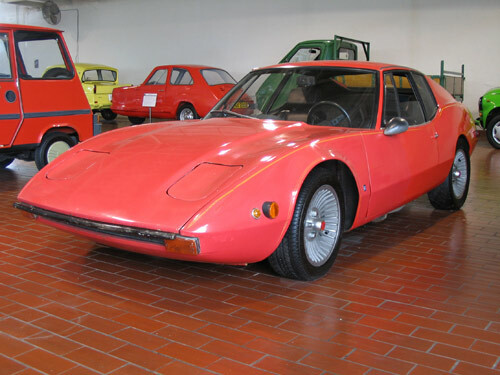 One was shown at the 1970 New York International Auto Show. This fiberglass body was designed by Francis Lombardi. Notice it has only one windshield wiper. This exotic Italian car is approximately 11.5 feet long and 3.5 feet tall! Although the Otas may look small from the outside it is quite a roomy car inside.